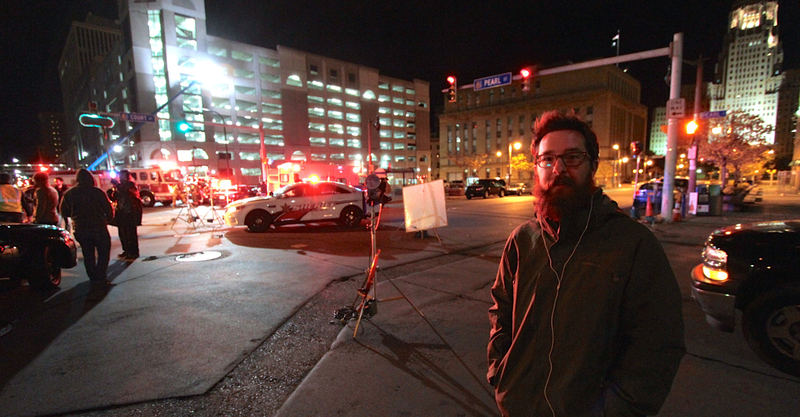 Photo: Richard Henry Herbeck on the set of “Emelie” in downtown Buffalo this past October. (March 10th, 2015) Shot entirely in Western New York with a screenplay written by Buffalo’s Richard Henry Herbeck, the feature film “Emelie” will make it’s debut at the Tribecca Film Festival this April. The festival runs from April 15-25th, and there will be 3 screenings throughout the festival.